Car producer Nissan is proud to announce Yaya Touré, three-time African Footballer of the Year and UEFA Champions League winner, as its newest global ambassador. The Manchester City and Ivory Coast midfielder has agreed to a deal which will see him work alongside Nissan’s global UEFA Champions League and Orange Africa Cup of Nations 2015 partnerships. 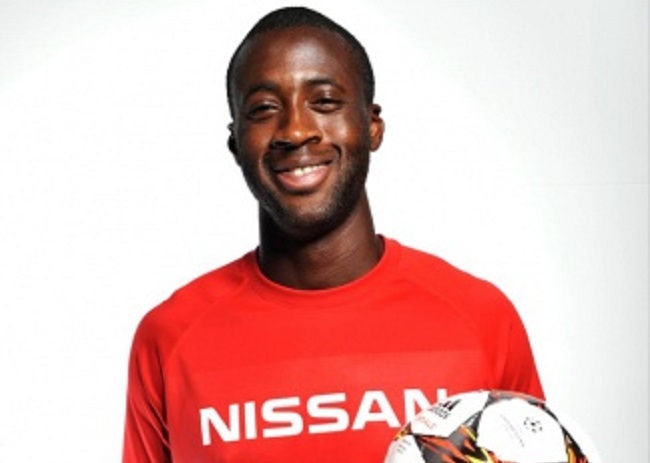 Yaya joins Nissan’s star-studded team of UEFA Champions League ambassadors, which includes the recently announced Barcelona and Spain midfielder, Andrés Iniesta and PSG and Brazil defender, Thiago Silva. The UEFA Champions League ambassadors will work with the company as part of the Engineers of Excitement program, which aims to enhance the experience of football fans through a range of activities including the exclusive Goal of the Week competition. Touré will also star in a series of new television and print advertisements for the UEFA Champions League due to premiere in February 2015. In July 2014, Nissan extended its connections in world football by agreeing a global partnership to become the Official Automotive Partner of City Football Group (CFG). The five-year deal represents a first for CFG, with Nissan becoming the first global partner of the football network, an organisation including Nissan majority owned Yokohama F. Marinos alongside Barclays Premier League Champions, Manchester City FC, Manchester City Women’s FC, New York City FC and Melbourne City FC.